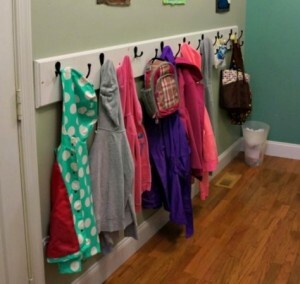 A mudroom or a laundry room, whatever you name it, is a multi-purpose area that is invariably becoming one of the most important spaces around the home. Whether you’re renovating your current abode or building a new home, your laundry room design and decoration deserves to gain the same attention as your kitchen and bedroom. 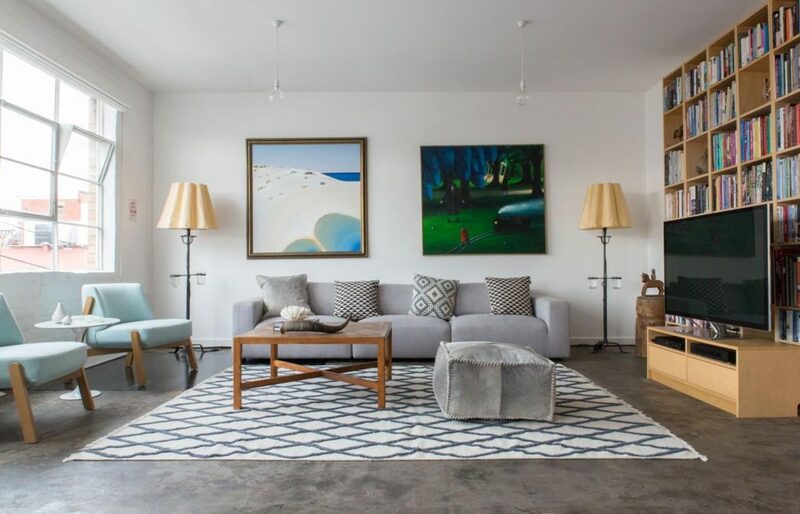 Although not the biggest room, but for some, it certainly is one of the most important and most used spaces around the home. 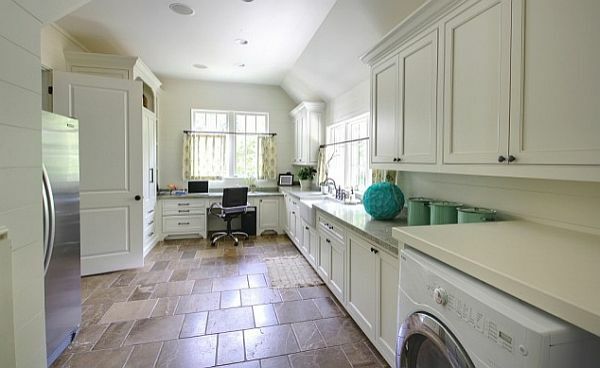 From adding a space to store hockey bags to incorporating a project work area, laundry rooms are extensively being used as multi-functional spots for more than just cleaning clothes. 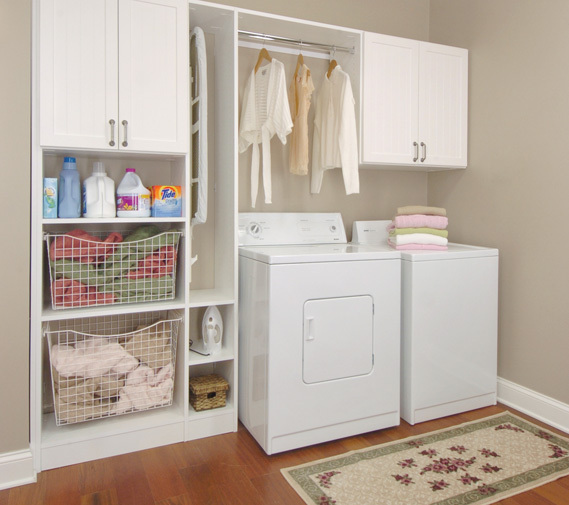 Your laundry room is exposed to consistent foot traffic so make sure you opt for a floor that is easy to clean and is also durable. Linoleum, concrete or tiles constitute some of the best choices while selecting suitable flooring for your laundry room. Also, if you could incorporate a space where you can wipe off your feet while entering the room would simply be amazing. You can add in a circular right at the entrance of the room, plus it would also help in enhancing the décor of the room. If your laundry room, also doubles as a mudroom, then it will be helpful to have a dedicated space to hang hats and coats. This area should be loaded with sufficient amount of hooks. Be sure to hang the hooks over a rug so that the water can be easily absorbed in case it drips off the clothes. The more storage space you have the better. Make sure you build spots to store muddy shoes such that you don’t track dirt and mud throughout the house in rainy seasons. 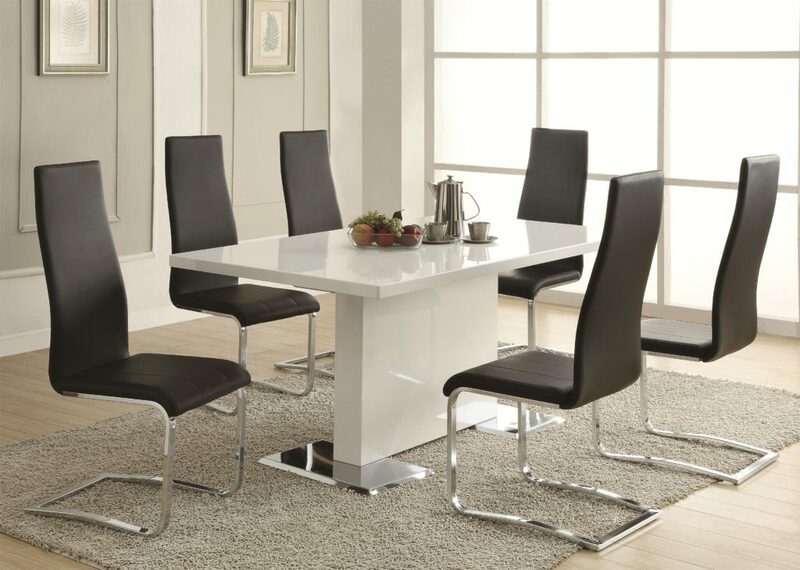 This place would also constitute an ideal storage space for toys that are meant for exterior activities only. There are laundry rooms which don’t even look like one. Even you can transform the look and feel of your laundry room and make it a cozy place by working on its color palette. Try feminine cottage style décor with softer hues to make it a comfortable niche space. Just a little forethought and you can transform your boring laundry room into a cozy space to read on your favorite book away from the family. Such an environment is certainly going to make laundry feel like a less chaotic task and more of a tranquil getaway. 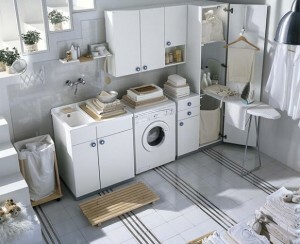 Storage is certainly the most important aspect of laundry rooms, so make sure you take advantage of ever inch you can. Build up your storage space as close to the ceiling as you can. 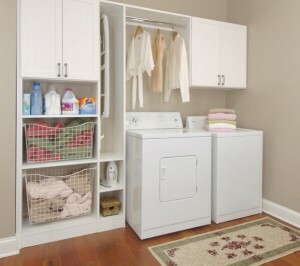 Place shelved cabinets which run horizontally above the washer or dryer unit. There you’ve build a perfect place to hold you laundry essentials. About Author: – Bob Fortune is a professional writer & worked as an Customer Service at Fortune Restoration. Fortune Restoration is one of the best companies in Chicago for providing Services like Painting, Restoration services for residential homeowners from Hyde Park to Lincoln Park. To Connect with Bob Fortune in Google plus click here.